Sonlight covers history, geography, language arts, bible and science. Math, Handwriting, and electives need to be added. Sonlight has their favorites available on their website. Sonlight Science uses hands-on activites and living books to teach scientific concepts. The curriculum ranges from preschool through high school. In high school Apologia books are used instead of living books. Supplies for experiments are included. Read more about it on Sonlight’s website. Comment: We have used and loved Sonlight for 6 years. It is truly an open-and-go curriculum. It weaves together history and literature in a way that makes the past come alive for students. It may seem expensive until you realize how many books there are. You don't have to run to the library or put books on hold. You own the books! Sonlight doesn't have workbooks or busy work; it has beautiful literature. Comment: We used Sonlight Core p 4/5 and Core A to start our homeschooling journey, with our oldest 2. 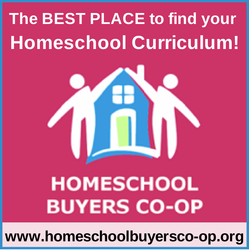 We have loosely based our 3rd and 4th years of homeschooling on Sonlights Cores B & C, but have found other books, that fit our families needs and interests, elsewhere. Though we've still used the first two Cores with our 3rd, 4th, and 5th children. I still recommend Sonlight to large families as a good place to start. Comment: I used Sonlight when my son was in Kindergarten. It is a great curriculum to use when starting out. Aside from the language arts it was a good fit for us. I am continuing to use the readers with my second child. If you are looking for a literature based curriculum then this is for you! I wish it was more hands on though. Comment: When I first looked at Sonlight I was very concerned about the cost. For us it was worth the investment because it will take at least 2 school years to cover the material with our son. The amount of material included in the Kindergarten package was more than what I expected. The lesson plans are completely done and ready to use. The layout takes some getting used to though. I can be very intimidating. Overall, I am impressed with what they have to offer. Comment: When we originally used Sonlight it worked well for us. In more recent years, it was not a good fit for our family. I think the focus of Sonlight changed and thus it was no longer suitable for us. However, we have quite the book collection because of Sonlight. Comment: I tried Sonlight science. My children did not learn from it very easily and I had to cover the same lessons over a few times. Postage to New Zealand was extremely expensive. I did not continue with sonlight as it did not suit my children.